Pippa Middleton has visited one of the world's most exclusive ski resorts in Switzerland to take part in a gruelling cross country ski race. The younger sister of the Duchess of Cambridge was seen hand-in-hand with new boyfriend Nico Jackson in the luxury Swiss resort of St Moritz. The pair joined thousands of other competitors on the start line at the annual Engadin Ski Marathon, which covers 45km of terrain. More than a million Brits take to Europe's snowy slopes each year, but is it vital skiers and snowboarders arrange sports travel insurance to cover them in the event of accident or injury. Known as a keen skier, Pippa attempted her first cross country race in March 2012, competing in the 56km Vasaloppet Marathon in Western Sweden with her brother James. 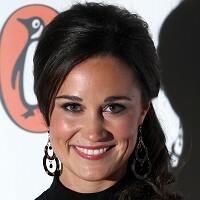 Experts deemed Pippa a natural and said her time of seven hours and 13 minutes was "impressive". Pippa set about the Swiss race with gusto and was cheered over the finish line by her parents. Keen to see first-hand who gets crowned champions of Europe? Europe's biggest football match takes place in Madrid: here's your guide to everything you need to know. Going away with your children? Beat the stress of travelling with your family with these great travel tips. Here's what you need to know if you're travelling with kids this Easter. Heading to Madrid? Here's our guide to six must-see places you should visit in the Spanish capital, from food markets to fine art and plenty in between. Experience the magic of Madrid's Fiesta de San Isidro 2019! Discover where to stay, what to eat and what to see as you explore one of Spain's greatest festivals. Experience Seville's intoxicating Feria de Abril and discover Andalucía's most famous festival! Here's your ultimate guide to La Feria. Songkran is Thailand's famous New Year's festival - and the world's biggest water fight. Here's everything you need to know before you plan your trip. Travelling overseas with young children? Make going through the airport easy and stress-free by following these top tips for surviving the airport with kids when flying. Discover the best places to learn to scuba dive! Check out our list of top dive locations around the world that are perfect for scuba diving beginners. Looking for some late-season skiing? Here are some of the best places for spring skiing in Europe where you can enjoy reliable snow cover. Looking for adventure? Create your perfect Scandinavian weekend with these alternative city break ideas. Lower your blood pressure with these fresh, healthy foods you can add to your diet. Even with medical screening it's quick and easy online. Click here if you are a non UK resident or have already travelled. World First Travel Insurance is a trading name of Rothwell & Towler Ltd which is an Appointed Representative of Crispin Speers & Partners Ltd who are Authorised and Regulated by the Financial Conduct Authority (FCA). Register number 311507. Rothwell & Towler Ltd, Registered in England No. 08294942. Registered Office: St Clare House, 30-33 Minories, London, EC3N 1PE.